Window tint adds exquisite comfort to your home, office, or automobile by keeping interiors cool and reducing glare. What is the correct method for cleaning tinted windows? This seems to be the age-old question that many always ask. Streak-free, ammonia-free window cleaner is a great way to avoid spots, but there are ample ways to cleaning window tint. Wet windows with mild cleaning solution, and scrub spots with a gentle cloth or washing tool. Remove cleaning solution using an angled window squeegee, directing excess water towards the middle. Apply rinse water with a different cloth and repeat step two. Gently wipe any moist edges with a clean, dry cloth. If you have large windows, you may want to invest in a squeegee and professional window equipment to advance faster, or you can rely on some soft towels instead. Prepare a mild cleaning solution in a spray bottle. Apply to a window and clean using a microfiber cloth. Rinse window with fresh water and dry using a different microfiber cloth. A mild solution of vinegar or dish soap mixed with water. Two spray bottles for cleaning solution and rinse water. Don’t clean too soon: Never clean freshly-installed tinted windows until they’ve had time to cure, even if you see spots. Don’t use scratch pads: Any kind of abrasive scratch pad or sponge is a definite no. Don’t use blue cleaners: Most blue window cleaners have ammonia, which can damage tint. Good visibility is very important for driver safety. And let’s face it, you want a sleek, immaculate window tint that makes you look really cool and matches your car’s brilliant, waxed sheen. Get comfortable and find a position that lets you access interior windows easily. Spray water directly onto a microfiber cloth, and proceed to clean the entire window. Follow a left to right or top to bottom motion when cleaning. When cloth becomes dirty, flip it over or switch to a different cloth. Use a clean microfiber cloth to dry the clean window completely. Ammonia-based products: Ammonia will remove or damage automotive tint. Abrasive action: Avoid scratching the gentle film with paper towels or scrub pads. Edges: Do not wet window edges if possible, as this can introduce moisture under the film and loosen adhesive backing. Direct sunlight: Cleaning in sunlight is harder since water dries quicker. At Total Eclipse, we know tinted windows. 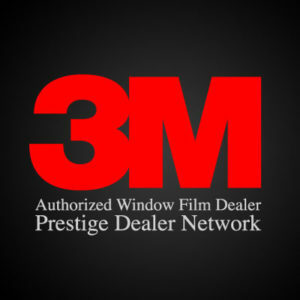 Our experienced technicians can solve existing tinted window problems, provide additional tips for cleaning tinted windows, and perform the new installation for virtually any application. We always do the job quickly, but very professionally, leaving no foam or harsh smell left behind. Contact Total Eclipse at (702) 222-0809 or via our online form for all your window tinting needs.